The Emer Casey Foundation has marked World Ovarian Cancer Day 2017 by announcing a €60,000 donation to Gynae Cancer Care at St. James’s Hospital, Dublin. The donation will be used to purchase a laparascopic device which allows surgeons to be more selective in the removal of lymph nodes (through which cancer spreads) from the pelvis. One of these women, Audrey Tynan, shared her personal story of living with lymphoedema. St. James’s is the largest provider in the Republic of Ireland of treatment for malignancy of the reproductive organs, including ovarian cancer. Clodagh Memery, Director of Philanthropy at St. James’s Hospital Foundation said “we would like to thank the Emer Casey Foundation for their generous donation. We are actively fundraising to secure the additional €60,000 required to purchase the equipment.” Further information on donating here. 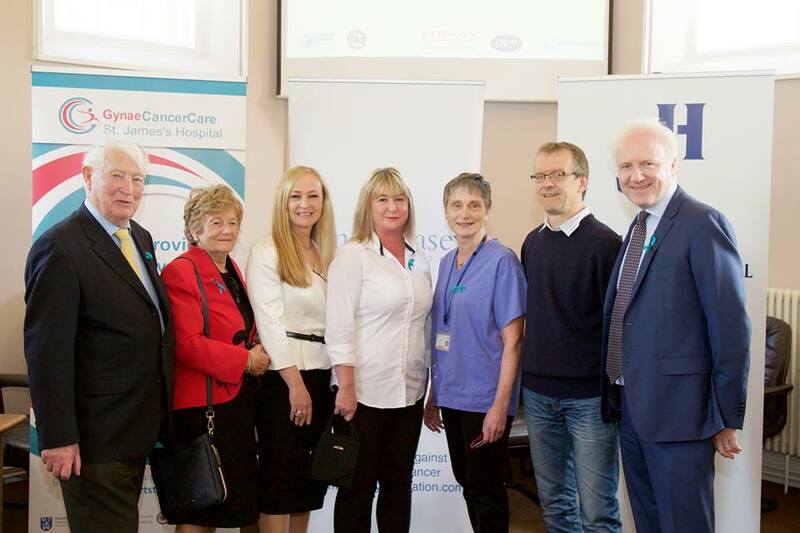 From left to right – Brendan Casey, Juliette Casey Snr and Juliette Casey Jnr, Founders, Emer Casey Foundation; Audrey Tynan, Speaker and Ovarian Cancer Patient, Dr. Noreen Gleeson, Gynaecological Oncologist, St. James’s Hospital; Jean Marc Monseux, Lymphodema Specialist/Physiotherapist, St. James’s Hospital; Lorcan Birdthistle, CEO, St. James’s Hospital.